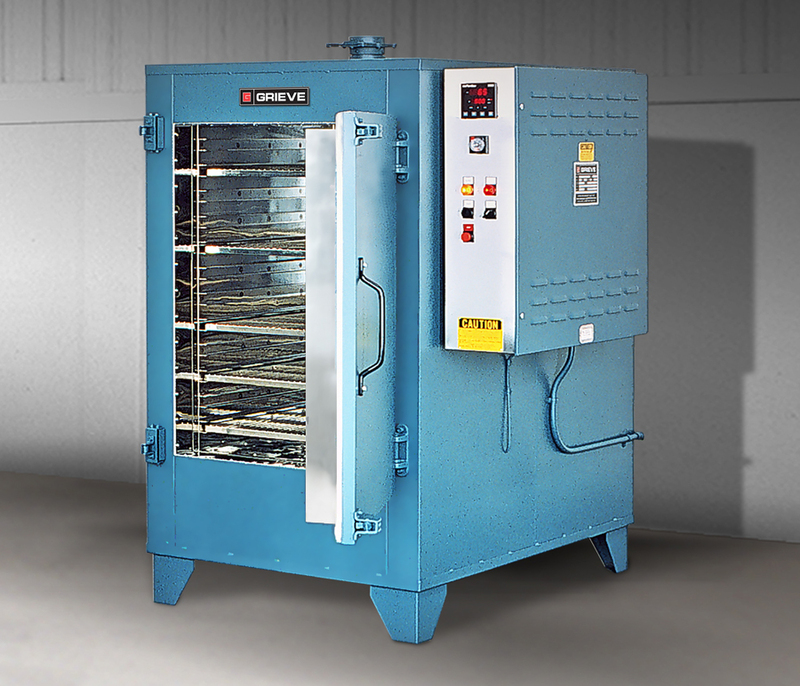 The Model VA-500 is a 500 degree F cabinet oven from Grieve Corp. used to finish batch loads of metal parts at the customer’s facility. Workspace dimensions of the oven measure 26 in. wide by 26 in. deep by 38 in. high, and 6.6 kW are installed in Nichrome wire heating elements. A 700-cfm, 1/2-hp recirculating blower provides vertical upward airflow to the workload. The cabinet oven has 4-in. insulated walls, an aluminized steel exterior and Type 430 stainless steel interior.